The Indian Institute of Business Management and Studies (IIBMS) was started to offer distance learning programs to the students with curriculum which is more competitive in this present business world. The students are provided with education as per the industrial requirements. IIBMS provides quality education to the students in such a way it helps them develop leadership and employability qualities. The course curriculum fills the needs of managerial education in the field of technology and management. The students are provided with online study material which helps the students can study anywhere and anytime. The courses offered provide best skills to the students in order to convert them into responsive human resource in their respective fields. 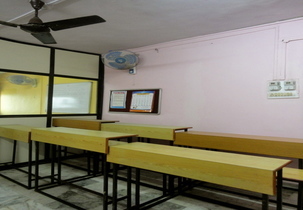 Class Room, Computer Lab, Library, Seminar hall Etc. HDFC Bank, TATA, Cafe Coffee Day, Reliance, ICICI Bank Etc. IIBMS was awarded as the Best Distance Learning Institute of the nation in the year 2018-19. The institute was awarded Excellence in Distance Education in the year 2018 and Excellence in Indian Education in 2017. Brand of the Year award for Distance Education was given to IIBMS in the year 2015. IIBMS was given the Most Promising Business Management Institute Award. The students have to fill the Placement Assistance Request Form (PARF) along with CV and academic certificates. The placement cell has industry interface both national and global level and help the students in getting their job opportunities based on their interest. 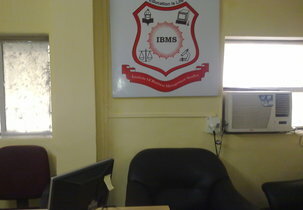 IIBMS provides the students with various undergraduate, postgraduate and diploma courses in management, commerce, arts and science field with yearly reviewed curriculum. Master's degree of 2 years duration provides the students with knowledge in theoretical business management concepts. The students are provided with knowledge in commerce, finance and accounting fields. The post graduate course provides the students with knowledge in marketing, finance, strategy and management. The education is provided to the working professionals in order to improve their leadership roles. 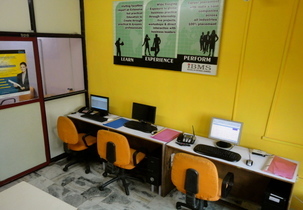 The course imparts the students with knowledge in commerce field with basic concepts of key problems of computers. It is a business administration course which helps the students how to know the management of business in national and global environment. The students are trained to know the policy marketing arena and economic analysis within the country. Bachelor's degree of 3 years duration having 2 semesters in each year in the field of IT. The candidates are prepared to manage business with hardware and software requirements with computer application knowledge. The students are provided with finance, supervisory management, personal management and business development knowledge. Various courses offered and mba in logistics management? I want to get admission in mba? Are you Interested inInstitute Of Business Management Studies"? Please provide the following details.